Creative has introduced a series of wireless speakers last year and a quick check with the FCC shows that the company has no intention of slowing down! 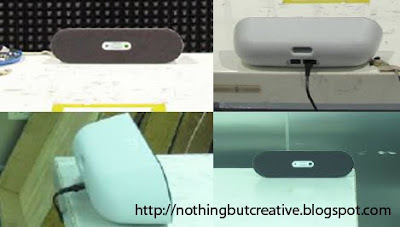 Introducing the Creative D80 wireless Bluetooth speaker. From the name and what we have read from the user manual, the D80 is a cheaper version of the Creative D100 (no battery option this time) and also no apt-x codec. There is an aux-in option at the front of the speaker for non-bluetooth audio devices. No words on pricing or availability yet (obviously). Hit on the link below for the user manual and testing photos!